Whatever type of stay you are looking for, there is always a warm welcome at Kingsmead. Your hosts are Tristan and Jodie, assisted by our Springer dog Pickles. Kingsmead was founded in 1985 by Tristan’s family and started life as a small Caravan club site. Due to its beautiful and yet convenient location it quickly grew in popularity and a few years later, the two fishing lakes were developed and static caravans added. These original caravans are still on site and although getter older; they remain firm, loving parts of the furniture providing happy holidays for lots of families each year. 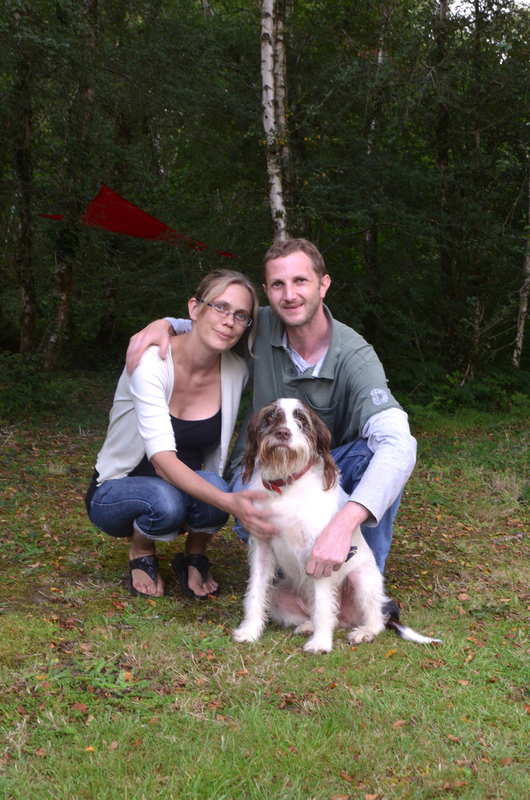 Having sought his fortune in an IT career in London, Tristan returned to Devon in 2007, Tristan met his wife Jodie, and together they built on the success of the camping business. Also brought up in the Blackdowns, and with a degree in environmental planning, Jodie shares Tristan’s passion to maintain a non-commercial, relaxed and welcoming space with little touches of modern essentials! We both feel privileged to have grown up in such a wonderful area and believe it should be accessible for everyone including their pets. As a result we offer a range of accommodation from a simple grass pitch to luxuriously furnished, hand crafted yurt, where you can come and stay for a couple of nights or a long summer break.